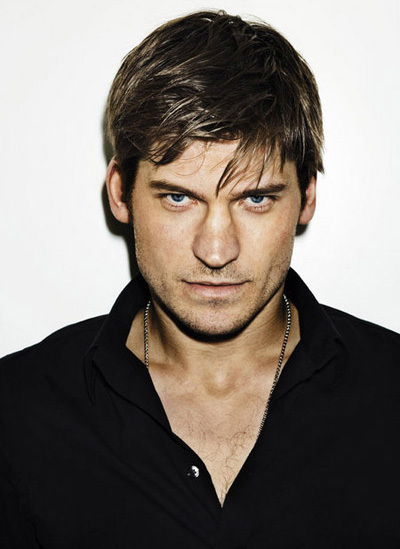 Nikolaj Coster-Waldau is a Danish actor. He received his education at Statens Teaterskole in Copenhagen in 1993, and his breakthrough in Danish film came with the 1994 hit Nattevagten . He played Detective John Amsterdam on the Fox television series New Amsterdam. He also appeared as Frank Pike in the 2009 Fox television film Virtuality, which was originally intended as a pilot. Since April 2011, he has starred as Ser Jaime Lannister in the HBO series Game of Thrones. Coster-Waldau was educated at the National Theater School in Denmark from 1989 to 1993. He had his debut as Laertes in Hamlet at the Betty Nansen Theater. His role in movie Nightwatch made him famous in Denmark. After leaving his handprint on the European film and television industry, he made his transition to American cinema. In 2001, he began his U.S. career with a role in Ridley Scott’s critically acclaimed, multi-Academy-Award-winning Black Hawk Down as Medal of Honor recipient Gary Gordon. Next, he landed a lead role in Michael Apted’s Enigma co-starring Kate Winslet, Dougray Scott and Saffron Burrows. Coster-Waldau’s charm and range as an actor have garnered him multiple roles with many of his previous directors. Scott brought Coster-Waldau back for his 2005 epic film Kingdom of Heaven starring Orlando Bloom, Liam Neeson and Eva Green. Additionally, Richard Loncraine, who first cast Coster-Waldau in his 2004 film Wimbledon alongside Paul Bettany and Kirsten Dunst, brought him back for Firewall, a thriller starring Harrison Ford and Bettany. Aside from acting, he has also written, produced and directed films in his native Denmark. He is the Executive Vice President of Hemmingsen Entertainment Corporation and affiliate Hemmingsen Creek Productions. He starred as John Amsterdam, an immortal New York homicide detective who will become mortal after he finds his true love, in the canceled Fox drama series New Amsterdam. Coster-Waldau lives in Denmark with his wife, Greenlandic actress and former Miss Greenland, Nukâka Motzfeldt and two young daughters named Safina and Philippa. Whole or part of the information contained in this card come from the Wikipedia article "Костер-Вальдау, Николай", licensed under CC-BY-SA full list of contributors here.